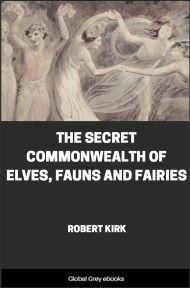 The author spent time in Jamaica and gathered together the material for this book from unique sources such as contemporary newspapers, legal archives and early accounts. 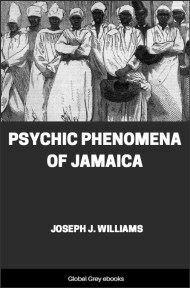 Chapters include Ashanti cultural influence in Jamaica, Jamaican witchcraft, applied magic, ghosts, poltergeists and funeral customs. EARLY in December, 1906, I first visited Jamaica, where I planned staying a couple of months. On January 14th, the day of the disastrous earthquake, I was returning from the north side of the island, driving by way of Mount Diabolo, and I arrived at the Ewarton Railway Station about an hour before the starting time of the train that was to carry me back to Kingston. The day was unusually tropical for that season of the year in Jamaica, with a cloudless sky, and what was really strange, at a time when the Trade Winds should have been at their height, not a breath of air was stirring. One could almost feel the stillness, and the brightness of the sunshine was simply dazzling. As I reached the station platform, a gentleman and a young lady were attracting much attention. They were brown people of the mulatto type, well dressed and with every indication of refinement. But the young lady, who, I should judge, was about twenty-five years of age, had become hysterical. She was wringing her hands, and between convulsive sobs kept repeating: "Father, we should never have left home to-day. I told you that something dreadful is going to happen." The gentleman naturally showed great embarrassment as he vainly strove to quiet his daughter who kept repeating in a mechanical sort of way that she knew that something dreadful was going to happen. Finally, her father led her away and I saw nothing more of either of them. But just about half an hour after their departure, suddenly the ground began to tremble and to run in waves with a crackling, sputtering sound similar to the disruption of a gigantic Leyden jar--an earthquake was upon us. Then as the tremors ceased, I glanced at my watch, the time was exactly eighteen minutes past three. It was the following morning before I reached Kingston, and I found the city a mass of ruins with a ravaging fire still sweeping over the débris. More than a thousand persons had been killed outright and many hundreds of others were succumbing to their injuries. Amid the general confusion and excitement, I repeatedly heard stories of a weird prophet who, it was said, had passed along the city's streets some hours before the disaster, sounding a cry of warning that had gone unheeded by the populace who had only laughed at him. 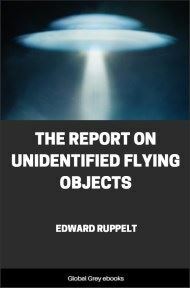 Ordinarily, I would not have given any credence to these rumors which I would have classified with those numerous after-fact delusions to be expected on such occasions. But the memory of the strange scene at the Ewarton Station haunted me as it had baffled any explanation that I could offer. Consequently, I made it a point to inquire carefully from the least imaginative of my confrères and they were in agreement that they had heard the rumor many hours before the earthquake had happened. Years later, this incident was reported in The Times of London for January 13, 1921, as follows: "It is noteworthy that in the forenoon of January 14, 1907, a man wearing a red mantle, who was regarded as an irresponsible person, made his appearance in Kingston warning the people that before evening Kingston would be destroyed. At 3:30 p.m. Kingston, and in fact the entire island, was visited by an earthquake of great magnitude which not only laid a large area of the capital in ruins but killed at least 2,000 persons." Needless to say, the following days in Kingston were filled with rumors of prophecies of new disasters that never eventuated, and which drove the distraught people to an emotional frenzy of despair. 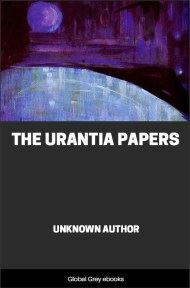 Even the revivalist Bedwardites, clothed in white, as they paraded the city in single files, with that peculiar hip-movement which is so characteristic of myalism, adapted their hymns to the spirit of the occasion. Over and over again, in seemingly interminable reiteration, they sang with a distinctively myalistic lilt to their tune: "It is a warning! It is a warning! On the dreadful judgment day, Heaven and earth will pass away. It is a warning! It is a warning! On the dreadful judgment day there'll be no warning." At first I could not catch the words, but the air itself seemed to burn into my very soul. I asked a youngster to find out for me what they were saying with the result that I have here set down. Since that fateful day, about twenty-seven years ago, I have made three other visits to Jamaica and I have spent there in all nearly six years. It has been my good fortune to penetrate to some of the least accessible parts of mountain and "bush" and I have lived for considerable time in those remote districts where superstitious practices are most prevalent. 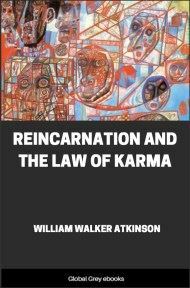 It has been my constant purpose to forward a scientific study of such unusual phenomena as might be regarded as psychic, both by discussing the incidents with natives of every class and colour, and by seeking out those who were reputed as practitioners of the black man's witchcraft. Time and again I sought to draw out in conversation the professional obeah-men, but I invariably found them evasive and non-committal. 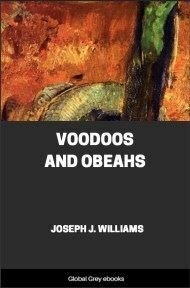 As occasion offered, I closely questioned youngsters who, according to common report, were apprenticed to obeah-men as disciples to acquire the art, but they had already learned their lesson of secrecy and I could make no impression on them. I repeatedly watched a black boy whom I knew well, the son of a notorious obeah-woman, as he stood motionless for long periods staring straight at the sun,--a sure indication in itself that he was in preparation for the practice of obeah, yet despite the fact that I remunerated him generously for trifling errands and otherwise strove to win his confidence, I never succeeded in gaining from him any information of value.